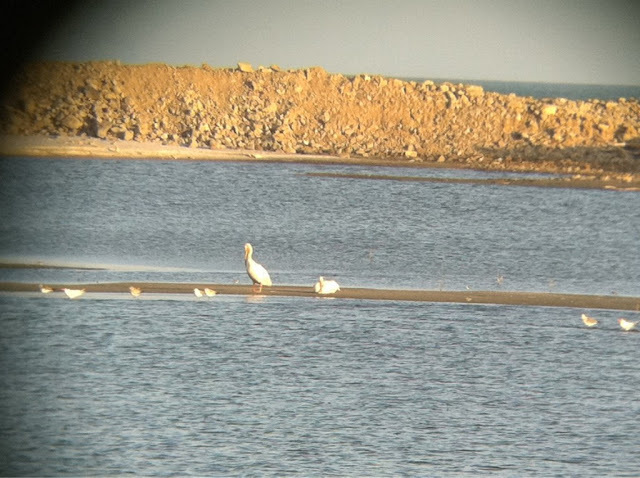 Delicia, Pedro and Darién Montañez visited Punta Chame at dusk to try for the American White Pelicans that have been there since last Wednesday. The birds were there, unmistakable and right next to the road—my kind of birding. The spot is a large pool between the beach and the road, on the right side 16.7 km from the turnoff at the Interamericana. The banks were full of sandpipers with a few oystercatchers thrown in for variety. Go get'em!